Rastaclat is a model of entrepreneurism. 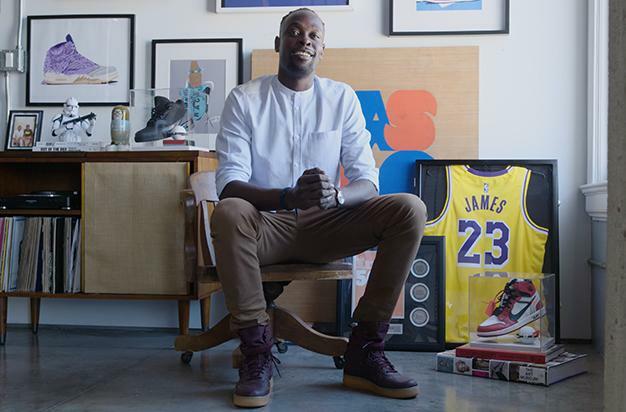 Founder Daniel Kasidi had an idea in high school to turn the extra laces that came with skate shoes into bracelets and sell them. People liked it, the idea was great, but he wasn’t ready to be in business for himself, so he sat on the idea for 7 years and went to work in action sports and apparel to learn and let the idea marinate. That’s along time to wait. But patience paid off and today Rastaclat is a thriving business that employs a lot of people and is distributed in more than 30 countries across the globe. 1. Daniel graduated form FIDM and went to work for a couple of large companies in the industry, then 7 years after the initial idea in high school started the company up by using an unexpected $4,000 tax return. 2. He didn’t quit has day job until Rastaclat was already selling in all doors at Zumiez, PacSun and FootAction. 3. The company’s tagline of Seek the Positive is at the core of what they do and how they do it. #HashTagLunchBag is one example of how Rastaclat gets involved (follow this link to check it out and some cool pics of the Rastaclat office). 5. Rastaclat is now on it’s second office location in Lakewood, Ca. (Long Beach Area) that holds dozens of people and warehousing operations and will most likely outgrow it soon. FOLLOW THIS LINK TO SEE ALL OPEN JOBS AT RASTACLAT.